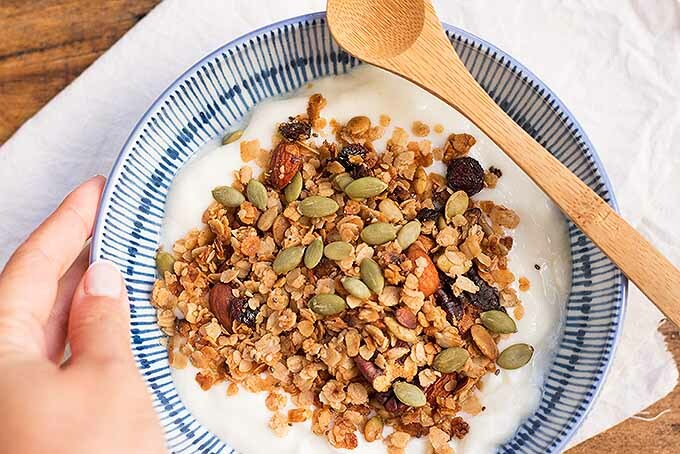 On most mornings, I tend to start off my day with a large bowl of granola mixed with Greek yogurt. It’s become my staple breakfast these days, because of how quick and easy it is to bring together, and how it keeps me full all the way till lunchtime. 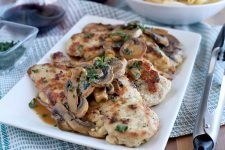 Since I eat so much of this, I want to teach you my recipe for a homemade version that is so easy to make and so quick to bring together. 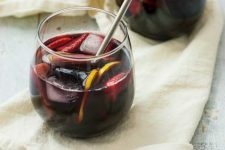 And best of all – it can be made in large batches during the weekend, so you can prep enough for breakfast (or even a snack) for the coming week. 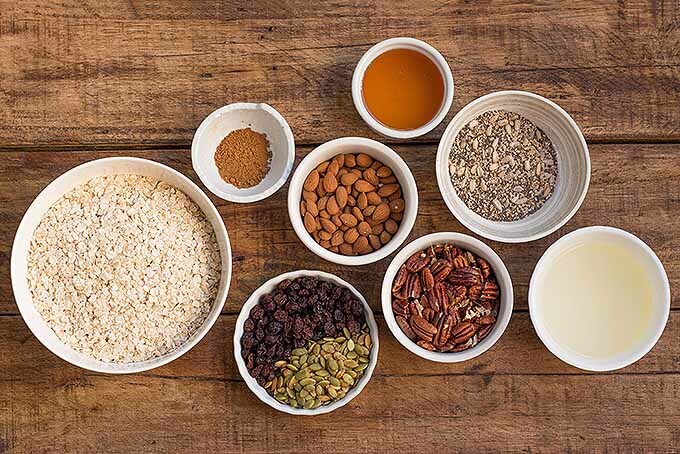 All you need is a combination of oats, nuts, seeds, dried fruit, and some flavorings of choice, mixed together with a liquid sweetener and a bit of vegetable oil. And in just under an hour to make it, you’ll have a big jar of freshly made cereal so soon! 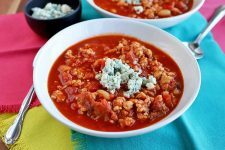 For this recipe, you are going to start off by placing all the dry ingredients in a large bowl. Mix well until they are blended together. Pour in the oil and the honey, stirring until everything is properly distributed. 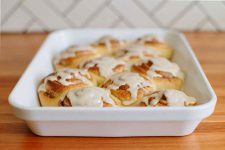 Pour the mixture into a prepared sheet pan, spreading it evenly, and bake until it’s golden. Allow it to cool completely before breaking into pieces and storing in an airtight jar or container. Shall we make a batch today? Let’s go to the recipe right now! 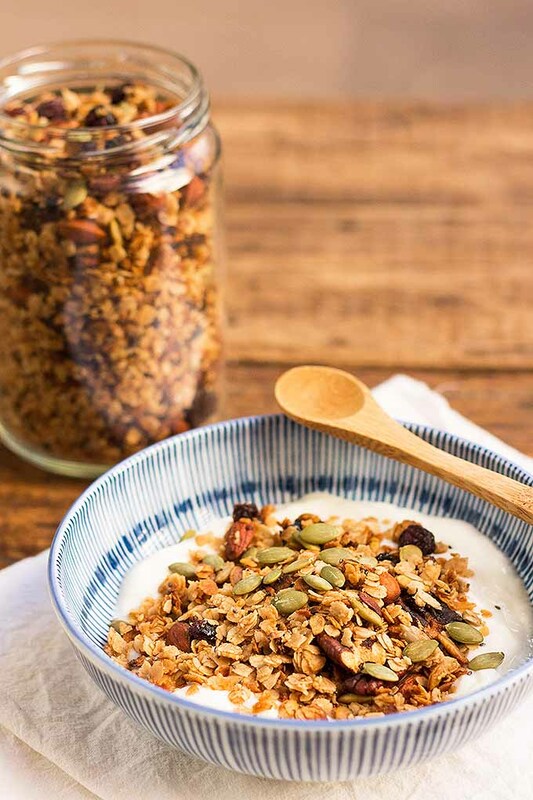 Our easy homemade granola is great to kick off your morning. Make a big batch on the weekend, and you’ll have breakfast for the whole week. Preheat the oven to 350°F. Line a large baking sheet with parchment paper or a silicone mat. 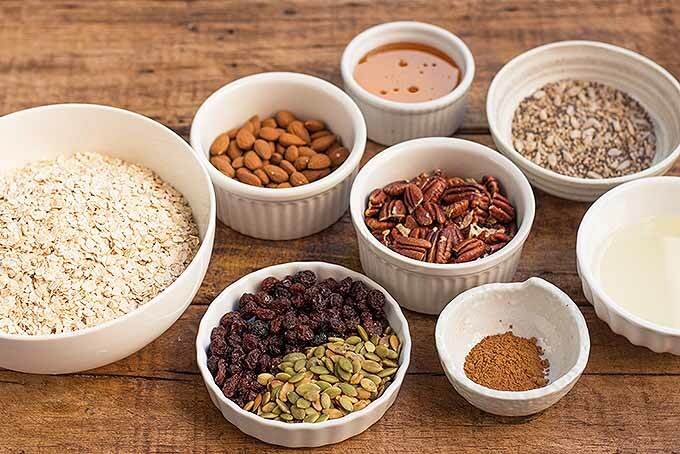 In a large mixing bowl, combine the oats, almonds, pecans, pepitas, raisins, salt, and ground cinnamon. Mix well until the ingredients are blended together. 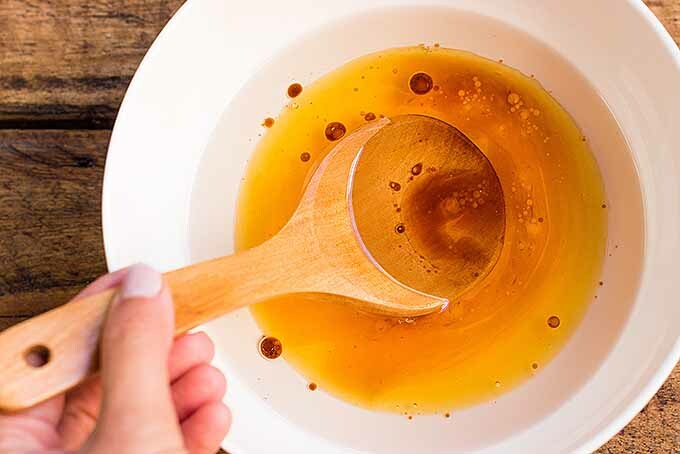 Mix together the vegetable oil, honey, and vanilla in a separate bowl. Pour into the bowl of dry ingredients, stirring until everything is properly distributed. Pour the mixture onto the prepared pan and spread it into an even layer. Bake for approximately 20 minutes, until it turns golden, making sure to stir halfway through. Allow it to cool completely without disturbing it before breaking it into pieces. Store in an airtight container at room temperature for 1 to 2 weeks. Serve with milk or Greek yogurt. Measure out all of your ingredients. Measure the rolled oats, almonds, pecans, pepitas, raisins, salt, ground cinnamon, vegetable oil, honey, and pure vanilla extract required. Place the oats, almonds, pecans, pepitas, raisins, salt, and ground cinnamon in a large mixing bowl, and mix well to combine. Don’t limit yourself to just cinnamon – try other spices, like ground cloves and nutmeg, for a different flavor profile! Next, stir together the oil, honey, and vanilla extract in a separate bowl. Pour this liquid mixture into the dry ingredients, and stir very well until everything is evenly distributed. Transfer the mixture onto the prepared baking sheet and spread it into an even layer. Bake until it turns golden, around 20 minutes. Make sure to stir it halfway through so it cooks evenly throughout. Allow to cool thoroughly. It will continue to crisp up further as it cools. Once it is fully cooled down, break it up into pieces. To store, place it an in airtight container at room temperature. It will keep like this for up to 2 weeks. Pour some over a generous serving of milk or your favorite yogurt, like our recipe for dairy-free coconut yogurt. Another morning meal idea? Our frozen yogurt popsicles with blueberry jam and oats are the perfect on-the-go breakfast to incorporate a cup of this freshly made cereal. A Healthy, Protein-Filled Way to Start Your Day! The best way to kick off your day is to fill up with a good breakfast that will last you all the way until lunch. 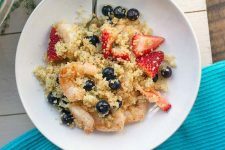 This easy homemade recipe can be made in a large batch, and will last for up to two weeks, so you can have a quick but nutritious breakfast every day of the week. 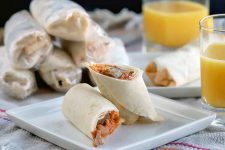 Take a look at all of our breakfast recipes for more fun ideas to start your day. And if you’re looking specifically for another oat-happy snack, try our recipe for vegan oatmeal breakfast bars or fruit and chocolate granola bars. Or for an extra bit of texture to your dessert, mix some of this with the topping on our quick and easy fruit crumble. 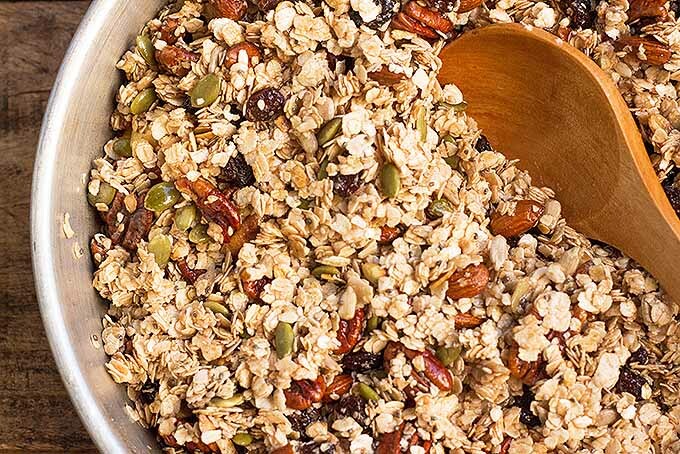 Have you tried making your own granola before? What ingredients did you use? Tell us in the comments below! Photos by Felicia Lim, © Ask the Experts, LLC. ALL RIGHTS RESERVED. See our TOS for more details. Originally published October 20th, 2014 by Sandy Weismann. Revised and updated September 8th, 2017 by Felicia Lim. I really enjoy making my own granola. Picking different spices and flavors is really fun. It’s a good weekend activity. I eat granola almost every other day so I save a lot by making it at home. My favorite add in is nuts. For sweetener I use molasses or honey most often but I don’t like it very sweet so I don’t add much in. It’s really fun to make your own granola, and the best thing is that you can flavor it to your own liking! Personally I have more of a sweet tooth, so I like to add a little more honey, or even maple syrup, into my granola. 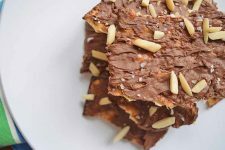 Another sinful treat involves adding generous portions of dark chocolate chips, it goes great with almonds, hazelnuts or walnuts! I have a sweet tooth myself, and your ideas are definitely something I would try if I were to make my own granola. It sounds so delicious! I appreciate the clear instructions for this recipe, since it seems like something I could try one day. Besides, I’ve been needing to improve my diet, so making a bunch of granola from scratch for me to eat throughout the week would be good for me. And as others have said, it sounds like fun! Lastly, as someone else brought up in another comment, it’ll help me save money (as opposed to buying a bunch of ready-made granola bars). The delights I’ve had with this sort of recipe! I play around between breakfast and dessert, changing the spices and sugar levels depending on the mood, or the recipient in some cases…haha most cases. Regardless it is always filling and it ‘feels right’ when I’ve been bad that week. Very nice and easy idea, and the presentation is ideal. I actually have all of the ingredients for this one! I have two southern flying squirrels so we always have an abundance of nuts in my house, and we love pancakes so the maple syrup is also here! I was kind of scared that we didn’t have any old-fashioned oatmeal but thanks to my dad we actually had tons! When I made the recipe, I took note that you said it can turn out a bit sweet so I used maybe 3/4 of what the recipe called for as far as liquid sweetener. It was just right and I gave just a tiny piece to my squirrels (they can’t have TOO much sugar) and they absolutely loved it. I’m still waiting for my kids to wake up to get their opinions but I’m sure they’ll love it too. I’ve never though to make my own granola. I eat it quite often but I’ve never attempted to make it myself. It would be a much cheaper alternative. I’m looking forward to trying this out. I can’t wait to add flavors that I want into the granola. I like the fact that I can cut down on the sugar that is in the kind I buy from the store. I’m trying to eat healthier and this should be a good change. What a yummy looking picture to reel me in there. Homemade granola is delicious and tasty. I’ve prepared it a few times over the years and it’s always n appetizing and healthy little treat. I am interesting in preparing it your way using your recipe to see if there’s any contrasting differences with mine. Wow, it has less ingredients than I thought. Sounds really interesting. The one problem I have with the granola bars and cereals currently on the market is the sweetness. I swear some of them actually give me sugar shock. So, I really like how you worked this one out. Yogurt parfaits are one of my favorite breakfast items! 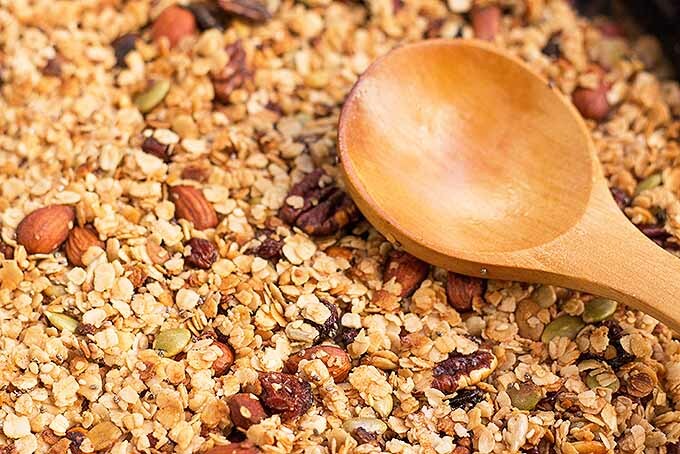 I am always looking for a good granola and one that doesn’t have too much sugar, but I never thought to make my own. That way I can control the sugar content. In addition to the items you listed above, I would love to add some coconut. It gives granola such a delicious flavor. I have made my own granola for years. It is a bit time consuming, and sometimes I buy store granola because they make it look so good, and there’s always the convenience factor. But I am always left somewhat disappointed. I like my homemade granola the best, and I know exactly what goes into it (ie, no preservatives or chemical mysteries). I love eating granola and yogurt in the morning for breakfast. It’s such a fast, healthy and convenient on the go snack. 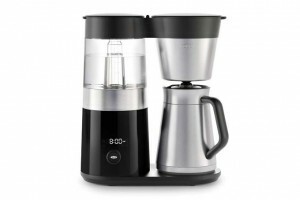 I usually buy them at cafes on the way to work, but they’re so expensive! Around 6 dollars for one cup. I’m going to try the recipe you posted and make my own. It seems quite easy and I can prepare a lot of it during the weekend and use it up slowly. 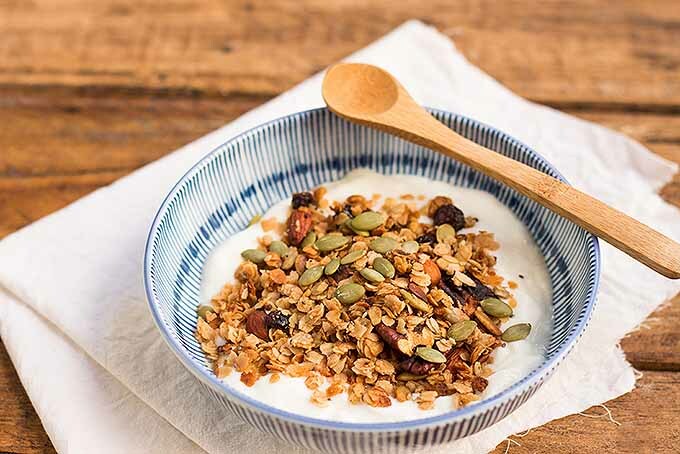 Granola is one of my favorite breakfasts, it is very good for you and so tasty! 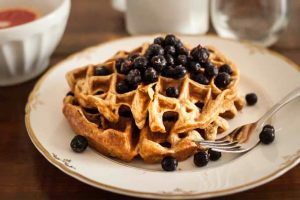 I tend to have mine with blueberries, it is a really nice combination and is very healthy! Great for diets and your taste buds! I have tried on several occasions to make granola, with no great success. This recipe gives me hope because perhaps the ratios and cooking time will help me find success. I too like to be able to control the amount and tpe of sweetener, for my health. I also like being able to customize the granola with the types of nuts and dried fruits I like. There are also different types of oatmeal, like whole or ground, that effect the texture of the granola. I actually like toasted wheat germ in my granola, but it burns so quickly. You gave me the idea to add it at the end with the dried fruit. I’m all for making your own granola. At least you’ll know exactly what you put in them. 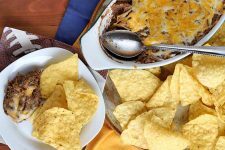 They’re a healthy food overall so I would love to try a couple of batches. Granola is good for the tummy as well, I hear. Rather, it’s good for people who have sensitive stomachs and irritable bowels. It’s just disgustingly easy to make something I pay for other people to make. I love finding articles that remind me everything shouldn’t just be purchased pre-made. Especially something that sugar is so readily put into for the ‘flavour’. Oh wow, I almost skipped this recipe, thinking it would be too complicated. I had no idea it would be so easy to make granola at home, and from so few ingredients. I honestly had no idea what was in it, or that it started with oatmeal. 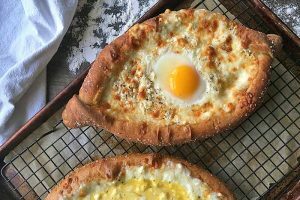 I love the idea of making it from scratch, and I already have most of the ingredients, so I will definitely be trying this out. I have no idea what the original recipe looked like, but your version sounds great! I’ve only discovered granola (the ones that aren’t in bar shaped and wrapped in packaging) recently and boy was it a life changer for me! 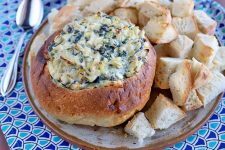 It was so good and easy to make and the ingredients aren’t really hard to find. Imagine my surprise when I found out you can also add yogurt to it. It was so delicious! 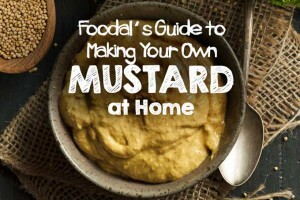 I haven’t tried to make it at home yet so I’m totally going to start now that I came across this article. Can’t wait! This is a great snack. I have some recipes around here for granola. Now looking at this I really want to finally make some. None of these oils are anything that I would eat. I’m thinking a coconut oil. You might not need a sweetener with that. It’s a subtle sweet. Molasses and maple syrup I do use a lot with other things. I eat all nuts accept the peanuts. I’m not allergic, but I kinda go with the majority on that one. It is in a shell and can have mold in it. #5 in the instructions says 2500F. Is that 250 degrees? 250°F…I know finding that symbol on the computer is always fun. Recently I’ve seen a lot of my friends post their homemade granola treats on their social media, and boy do I get jealous! 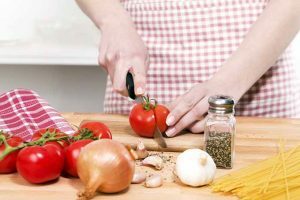 I’ve always been unsure about what makes a “good” recipe, and been a little afraid to try it out in case it doesn’t turn out well. But at this point I’ve spent way too much money on it than I would like, so I guess it’s off to the kitchen! Thanks for the recipe, and here’s to not screwing up the recipe! I love granola! I usually just buy the bags from the store and I get the ones with yogurt clusters in there. Mm, so delicious. But this is a great recipe to make them at home! Especially sitting on top of yogurt and in pretty little cups. It looks gourmet. 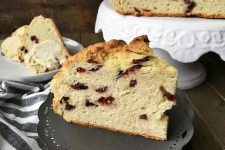 This recipe sounds wonderful – thank you so much. I’ve been looking for a good one for some time now. It’s really hard to find reasonably priced breakfast food that isn’t too sweet and I think this collection of ingredients just about nails it. The granola jar is almost empty, so it’s a good time for me to try it. This sounds fantastic, and so simple! My daughter has long days in college, and she tries to pack store bought granola as much as possible so she won’t have to eat fast food. This looks so much better than the stuff I buy! I’m going to mix up a batch, and add some cranberries. I love granola! Last weak I bought a pre-packed one in a local shop. It was awfully expensive, but it was the healthiest thing possible to get. After eating it I wasn’t hungry till early afternoon, which was amazing. For some reason, I didn’t consider making my own. Thank you for the amazing recipe. It’s a wonder that you’ve managed to not loose it! I was shocked to read that it’s 30 years old. I am so going to try this recipe. 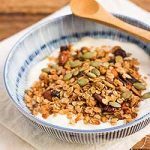 I LOVE Granola as well as my family and to have such a simple and tasty recipe that I can make for my family as a HUGE plus for me. I’m definitely earning brownie (or granola) points with my loved ones. Thank you so much Sandy Weismann. You are a STAR!!! I love making homemade granola. I find the store bought versions can get rather expensive. I also prefer it because I can throw whatever ingredients I want in it. It’s also pretty simple to make. I don’t think I’d every go back to buying the store made versions. I’m a breakfast person. But I have never tried eating granola before. Cereals aren’t big in my family and I’m from a country who loves rice. So it’s usually fried rice, ham/bacon, and eggs for our breakfast. But now that I live on my own, I think granolas is something I can try. This recipe just might be something to help me start eating granolas. This granola looks delicious. I remember when I tried making some for my self for the first time years ago. 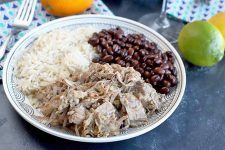 I had found a random recipe online and went from there. I remember adding brown sugar and cinnamon when I made my batch. Although the next time I make this granola I will add some dried cranberries and peanuts. 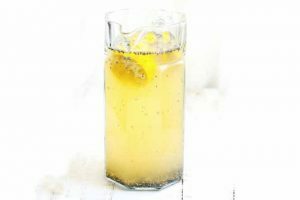 I’ve been using this recipe since just before Christmas and taking a few liberties with the ingredients too. 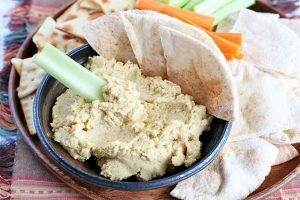 My family loves it with added sunflower seeds and pumpkin seeds and I also add some chia seeds, which make it more filling. It’s terrific with yoghourt and especially good with a ripe banana sliced on top. The beauty of your recipe is that as long as you stick roughly to those proprtions, you can’t go wrong. 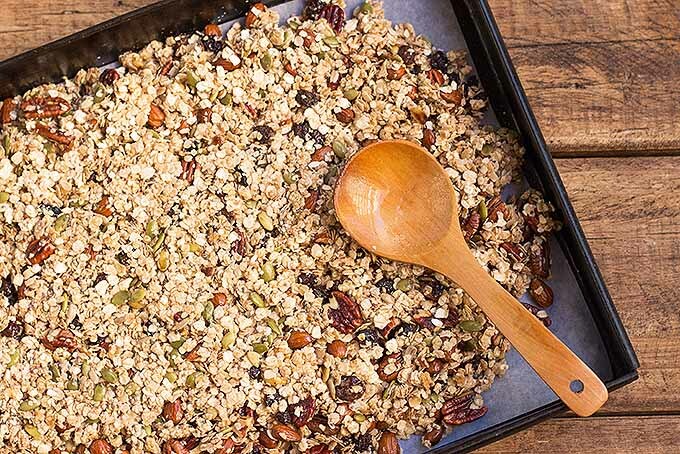 HIghly recommnded, especially to granola newbies – go ahead and try it: it couldn’t be easier! My family and I love granola. We have talked about making it, but have never moved beyond just talking. This article has inspired me to convince my family that maybe we should give it a shot! Thanks for making it sound so easy! I think this is something I will definitely try since I’m looking for easy, yet healthy breakfast recipes. I’m quite sure I already have all the ingredients and think it’s a great idea for anyone who always rushes in the mornings (me). I can simply make some the night before, grab a bit in the morning and be on my way. This will be very helpful and healthier than store bought granola. Thank you! 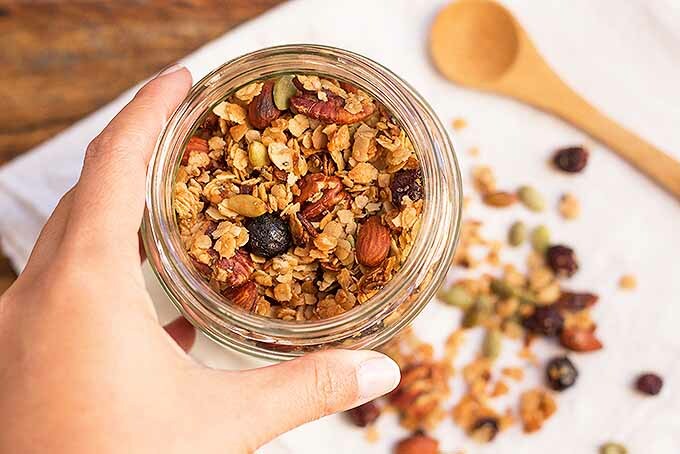 Granola, one of life’s most simple pleasures. I’m going to have to try this recipe. I always buy the boxed stuff, and I get the feeling once I make my own I’ll mark the store bought as garbage and stop buying it. 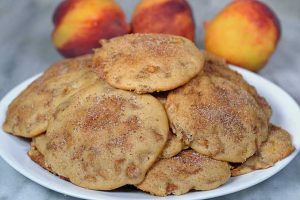 Of course, given my tendency to snack, I’m going to need to make this in large batches so I have some to nibble on while I’m working. I just need an oven that can reach 2500 f. I guess a blast furnace will suffice. (just kidding I know it’s a typo). I also learned the hard way the first time I made a version of this recipe about adding the fruit and nuts at the end. My first experience was actually worse because I actually burned the granola and so the raisins and nuts were beyond rock-hard. I really like how you warmed up the oil, sweetener, and spices first then poured that over the mix. I will definitely be using that technique on my next attempt along with the my most recent idea of adding chunky natural peanut butter to the mix and see how that turns out. 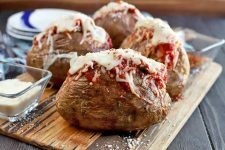 I confess that I’m a bit lazy and I usually buy the packaged version but after reading youir recipe and looking at the pictures, I’m feeling the need to make my own. It looks delicious, healty and I like the fact that not too much sugar is needed. I like it but I’m trying to reduce my daily intake of sugars and this is the perfect recipe if you ask me. I think the oatmeal and the mixed nuts are already tasty enough without adding too much unnecessary sweetener. Thank you so mucyh for the great idea. Is it bad that I eat granola almost everytime I have breakfast or brunch? I don’t really think so because it’s healthy. Lately I’ve been going crazy over dieting and granola combined with a fruit salad is really refreshing! Thank you for the recipe! I have been making my own granola for years now. For the sweetener part, we use honey, since honey is actually very healthy and beneficial too. I sometimes do not add nuts though, but it still turns out great every time. 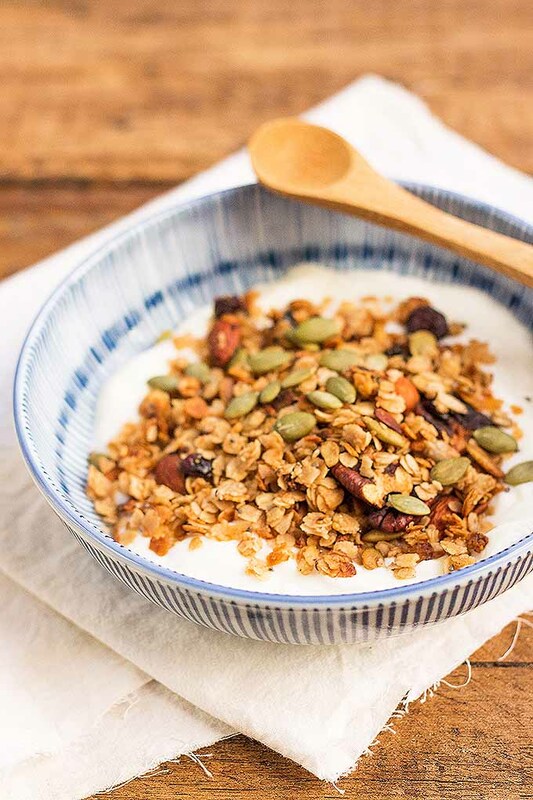 We usually eat very light for breakfast, a yogurt with homemade granola is a go-to here.